Let’s talk about Tuesday’s TV! THE VOICE: The competition was fine, but what really intrigued me is the new round. As someone who has watched the show since day one, one of the bigger issues was how it really didn’t suit the coaches to stack their team with the very, very, very best talent—if they knew they had to cut their team in half two separate times, it really suited them to only have a handful of extraordinary people and then a gaggle of fine, but not incredible people. Now, yes, they still had to cut their team in half once, but, in theory, the best of the best will move forward, regardless of what team they’re on. Some coaches may end up unhappy, but this should make for the best talent possible moving forward. MASTERCHEF JUNIOR: I love that the kids were all so good that no one went home. I know it’s not rational or realistic for a competition for it to happen more often, but when there aren’t clearly weak dishes, it’s nice they’re able to reward the mini-chefs for being that good. Also, that cupcake dress looked perfect and I would like it very much, please. SPLITTING UP TOGETHER: It was a bittersweet finale. On one hand, Emily Kapnek is very good at setting up finales that work as series finales or season finales (see also SELFIE and SUBURGATORY’s final episodes), but this one also very pointedly said “To be continued…”—which is very much up in the air. The show had a bit of a rough patch in the early part of season 2, but it has really been so charming and lovely. I hope they somehow find a way to continue with it. THE ROOKIE: Very, very curious to see what Bishop does with the offer to be their mole at the precinct. On one hand, she would be the right person for the gig and it would allow her to keep doing her job. On the other, it would mean agreeing to a double life, which has to be exhausting. 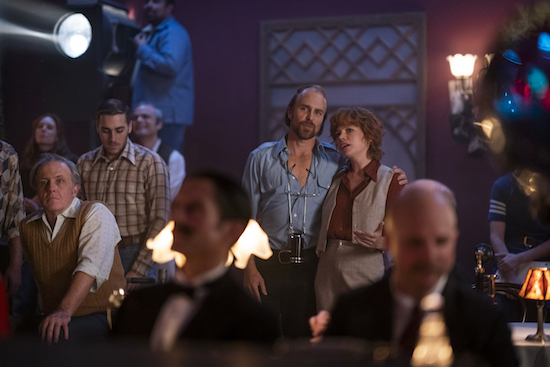 FOSSE/VERDON: The pilot left me a bit torn on the show. On one hand, there’s absolutely no question Michelle Williams and Sam Rockwell are great. It looks gorgeous; the costumes and choreography is incredible. But part of the issue with jumping all over the place chronologically is you either have to have an instant reason to care about the story from the very first second or it has to be so well known it can sustain that kind of storytelling. I know a number of Fosse’s shows (and Gwen’s role in DAMN YANKEES), but I didn’t know enough about their real-life dynamic for it to entirely land for me.